Air travel is, by necessity, a jargon-filled industry. There are countless technical abbreviations used by pilots, airline officials and aviation geeks, but the lingo used in frequent flyer programs can be equally overwhelming. The dozens and dozens of programs out there tend to each have their own way of approaching these terms. Alliance: There are three airline alliances that many of the world’s major airlines belong to: oneworld, SkyTeam and Star Alliance. When an airline takes part in one of these alliances, they automatically provide their customers access to flights with other members, and often typically offer reciprocal award booking, mileage earning and status recognition. Avios: The mile currency used by several airlines, including British Airways, Iberia and Meridiana. Award chart: A spreadsheet-like chart of varying complexity that describes the number of miles or points required for an award flight between each destination an airline services. Typically the chart has the destinations or zones listed along both the top and side to show the miles required for each pair. Required miles can be displayed for either round-trip or one-way itineraries. There is little consensus on this. Award pricing: The number of miles and the taxes and fees required for an award itinerary. This can differ from what is shown on the award chart if the itinerary goes into a higher fare bucket due to capacity controls, or if it is a complex itinerary involving multi-city ticketing. Pricing an award requires looking it up online or phoning a call center to get the specific price for that itinerary. Cash tickets: Flights paid for with money not miles. They are eligible for miles earning and/or upgrades with miles. Close-in booking fee: A fee charged by many airlines for booking an award close to the departure date of the flight. The range differs by airline. Sometimes the fee is only levied as little as one or two weeks before, but it can reach out three months or more for some airlines. Distance-based: An award chart or price based on the number of miles the flight or itinerary travels, not the places or zones it travels between. Elite status match: When one airline gives elite status to a customer based on them already having elite status with another airline. Elite status holders: Individuals who have flown a designated number of flights or miles with an airline and receive special benefits based on their loyalty. Family pooling: When an airline allows you to combine all the miles earned by members of a family or other group into one frequent flyer account. Fare bucket: On award charts that offer different redemption rates for the same city pair based on demand, each potential price is one fare bucket. For example, Delta has five different prices for each award, hence five fare buckets. Freddie Awards: Awards honoring frequent flyer programs, like the Oscars for airlines. Full fare: The most expensive cash ticket for a particular city pair, usually allowing more opportunities for upgrades. These are also often called Y fares in economy, C fares in business class, and F fares in first. Hubs: The main airports at which an airline holds gates. These airports are frequent stopover destinations for connecting domestic flights between less served airports and are typically the gateways for international flights. Legal connection: A connection is not regarded as a stopover when it is less than four hours domestically and 24 hours internationally. Maximum permitted mileage (MPM): The maximum number of miles that can be traveled between any city pair. Airlines use these to regulate award tickets involving multiple stopovers. For example, while Cape Town, South Africa, could be regarded as between New York and Dubai, many airlines would not allow this as a stopover because it violates the MPM. Mileage upgrade: A confirmed upgrade to a cash ticket using miles that is typically accompanied by an additional cash payment but still offers a significant discount on purchasing a business or first class flight outright. Miles validity: The period after which miles are earned that they remain valid and usable for awards. Some airlines have an expiration date pegged to the original earning date of the miles (i.e. 18 months after the miles are accrued), while others allow the miles to remain valid as long as your account is active. Non-alliance:: Airlines that do non participate in the three major alliances are regarded as non-alliance. When alliance airlines partner with airlines outside of their alliance, these are non-alliance partners. Off-peak: Awards offered at a discounted price during periods with less travel congestion. Partner airline: An airline which allows connecting flights, or codeshares, is a partner airline, but partner airlines also often include alliance partners with reciprocal award earning and redemptions. Partner award chart: When an airline has one award chart for awards on its own flights and another award chart governing the use of its miles on other airlines available for redemptions. Point: A currency used by credit cards and some airlines in the place of miles. Points can be redeemed for flights and upgrades in the same way as miles. Reciprocal earning: When an airline allows you to fly a different airline and still earn miles in the frequent flyer program of the first airline. Revenue miles: Revenue miles are miles flown on a cash ticket rather than an award ticket. These miles are eligible for earning both airline miles and status-qualifying miles. Revenue-based loyalty program: A frequent flyer program that does not award miles or points based on the number of miles a member travels, but rather the amount of money they spend on their cash tickets. Round-the-world: A special type of ticket and award pricing that is not based on the destinations visited but the total number of miles traveled that includes a preset number of flights and stopovers. Short-haul: An international flight that is similar in length to a U.S. domestic flight. These typically only arise in regions with many smaller countries close together, such as Southeast Asia and Western Europe, though a flight between the Northeastern U.S. and Montreal or Toronto, or a flight between the Southeastern U.S. and the Caribbean would also qualify. 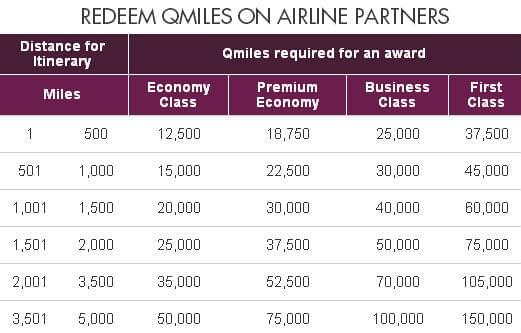 Status-qualifying miles: Miles flown, or occasionally miles earned through credit card purchases, that count toward annual elite status qualification requirements. Status bonus: A percentage increase bestowed upon elite status holders on all miles earning through flying. Zone-based: An itinerary or award chart price tied to the parts of the world the award travels to and from. For instance an award between North American and the Caribbean would incur a different price than an award between North American and South America, even if both itineraries covered the same number of miles.